If there’s something I love, it’s a good round-up post of places to eat and drink! Since I’m primarily vegan, and so many of my friends are switching to vegan diets, I thought it would be great to do a round-up post of my top 5 vegan restaurants in Orange County! Not all of them are strictly vegan, but have a great vegan-friendly selection. Seabirds Kitchen is located at The Lab Anti-mall, a fun and funky hipster mini mall in Costa Mesa, CA. They have seasonal menus, so that what you’re getting is always fresh. A couple of the biggest draws for me are their jackfruit and their avocado tacos, as well as their amazingly chargrilled veggies. No matter what seasonal veggies are on their menu, they are always perfection! 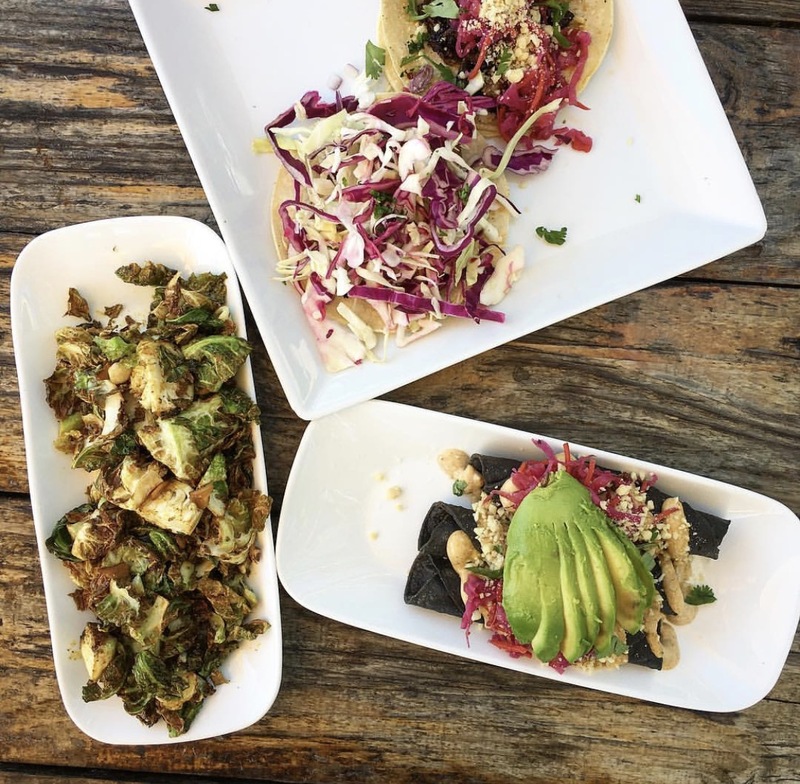 Native Foods has locations in other places aside from Orange County, but included it in my round-up since there are a couple Orange County locations, and everything served here is vegan! Their Soul Bowl is a classic, with Native Foods definitely being the place you want to go if you want vegan soul food, or decadent vegan desserts. There are OC locations in Aliso Viejo, and at The Camp in Costa Mesa. They have very good portion sizes, so even their apps can sometimes serve as a meal! Veggie Grill has been a big vegan favorite in OC for many years now. It also has locations elsewhere, but has a few in Orange County: Laguna Niguel, UC Irvine, Irvine Spectrum, and the Tustin Marketplace. To me, Veggie Grill has one of the best vegan takes on traditional American food – amazing hearty salads, burgers, wraps, sandwiches, and very well known for their sweetheart fries (which are in my opinion the best sweet potato fries in the world). And best of all? Everything here is vegan! True Foods Kitchen is more of a sit down restaurant rather than quick service, if you’re looking for a vegan date night out. It’s at Fashion Island in Newport Beach, and although not everything is vegan, they have great vegan options. My favorite is the spaghetti squash casserole. In addition to vegan options, everything there is locally sourced, organic, and very fresh. They also have a garden fresh cocktail menu, to go with their amazing food options! Healthy Junk is in Downtown Anaheim on Center Street, very close to Disneyland. It has an all-vegan menu of “junk” food, but made vegan style: Tacos, hot dogs, burgers, chili cheese fries. They even have a Junk Bar, where you can get vegan wines and beers. They always have an intriguing and unique restaurant menu, and everything I’ve ever tasted is absolutely mouthwatering, making this vegan Orange County restaurant my #1 pick. I would love to hear some of your favorite menu picks, or your favorite vegan restaurants in Orange County!